Governor Janet Napolitano is a top supporter of Barack Obama. Her top fundraiser Jim Pederson and his family gave over $1,500 to Kevin Gibbons and over $10,000 to Barack Obama. Under intense scrutiny, Gibbons gave away Jim Pederson’s money. However, Gibbons has not given back the other $6,660 that he has raised from Democrats and backers of the Governor Napolitano’s transportation tax increase plan. 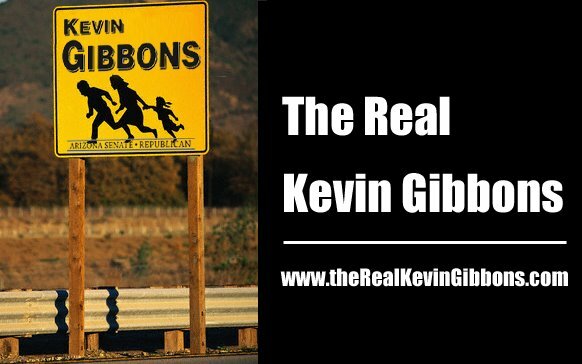 Kevin Gibbons has claimed to be a proponent of smaller government and cutting back on wasteful spending. However, he is supported by Democrats and those who are backing the Governor’s TIME Initiative, which raises sales tax rates nearly 18% for 30 years to pay for a litany of wasteful projects. Her plan includes $1.7 billion in giveaways to environmental groups and billions more to light rail and inter-city trains. From the budget borrowing to the transportation tax increase, the Governor and Senate and House Democrats have placed a lot of future burden on Arizona’s taxpayers. Jim Pederson and others on Gibbons’ donor list have been helping push these initiatives.